Over the next five years, online grocery sales are expected to more than quadruple between now and 2023. More web-based options will become available and more consumers are expected to give it a try. The prediction comes from a new forecast by market-research firm Packaged Facts. Over the past five years, online grocery sales have already tripled. Most of that growth has come since 2016 as e-commerce platforms and conventional grocery stores have expanded their efforts. 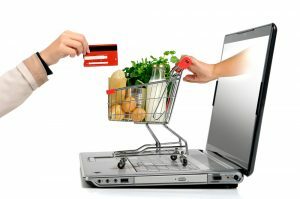 Packaged Facts expects more and more people to try online grocery shopping for the first time. Those who are already online shopping are predicted to increase their purchase rate. The fuel for the online grocery boom is coming from increasing smartphone use, better websites and mobile apps, as well as better business models designed for shopping and delivery. Amazon and Walmart are the two biggest participants in online shopping, but more are expected to jump in over the next five years. Walmart’s large number of rural stores is expected to give it a competitive advantage in online shopping over the next five years.